According to Italian authorities, the piece matches photographs found in the files of convicted antiquities dealer. A forfeiture complaint was filed Thursday in federal court. As alleged in the complaint, the antiquity is the property of Italy and is therefore forfeitable as stolen property that was unlawfully introduced into the United States. Gianfranco Becchina, an Italian citizen, operated an antiquities gallery in Basel, Switzerland. In February 2011, he was convicted in an Italian court of illicitly dealing in antiquities. During the investigation that led to his conviction, Swiss and Italian authorities searched Becchina’s Swiss gallery and warehouse and seized Italian archeological artifacts, commercial documents and photographs of thousands of artifacts that Becchina had sold. Among the documents in Becchina’s archive were photographs, commercial records and customs paperwork pertaining to the marble sarcophagus lid. According to these records, Becchina purchased the marble sarcophagus lid in Italy and shipped it to his gallery in Switzerland in 1981. 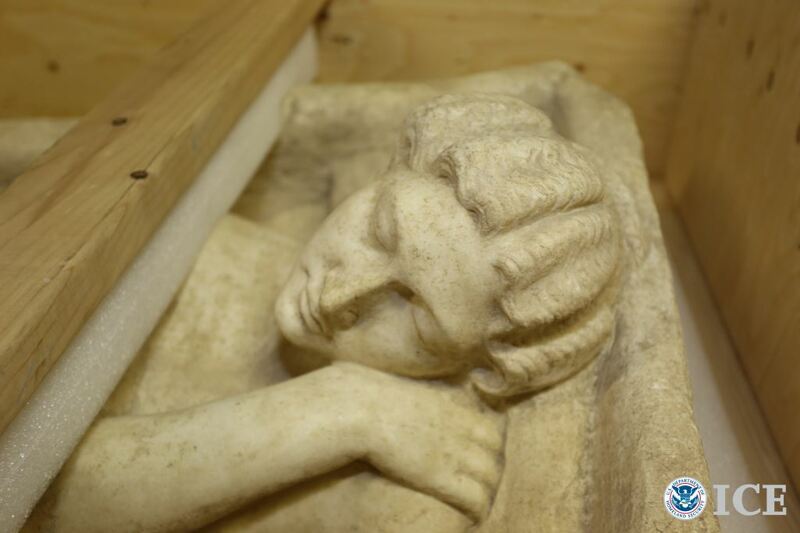 Thirty years later, the marble sarcophagus lid, now restored, reappeared at a public exhibition in New York. 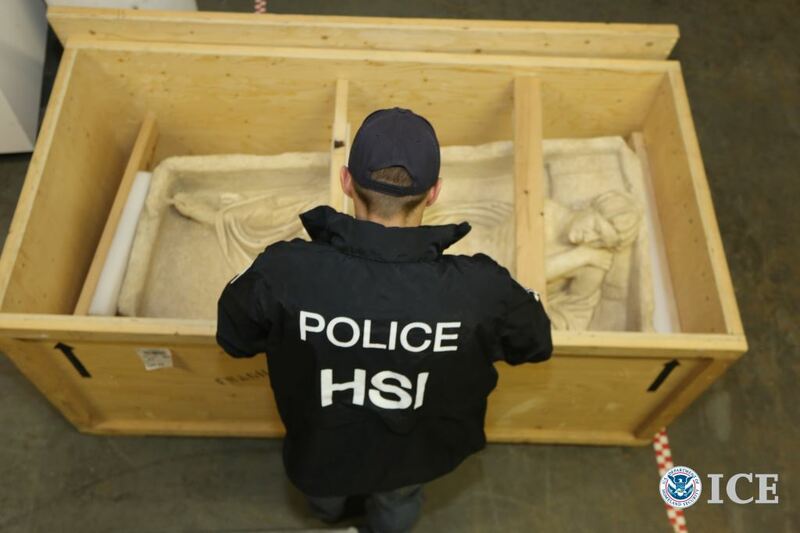 On Feb. 20, HSI agents located the antiquity in a storage facility in Long Island City, New York. “Whether looted cultural property enters our ports today or decades ago, it is our responsibility to see that it is returned to its rightful owners, in this case, the Italian people,” stated U.S. Attorney for the Eastern District of New York Loretta Lynch. “We will continue to use all legal tools available to us to seize, forfeit and repatriate stolen cultural property.” Lynch thanked the Italian Ministry of Cultural Heritage and the Italian Carabinieri Protection of Cultural Heritage Command for their assistance.